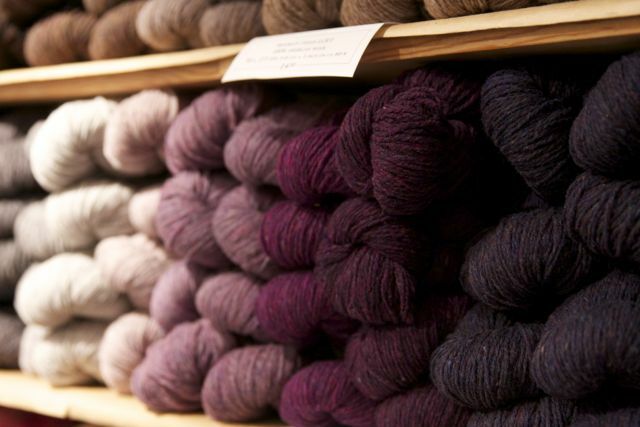 Vancouver has an abundance of wonderful yarn shops and in my job I get to frequent them all (it’s tough work but someone has to do it). 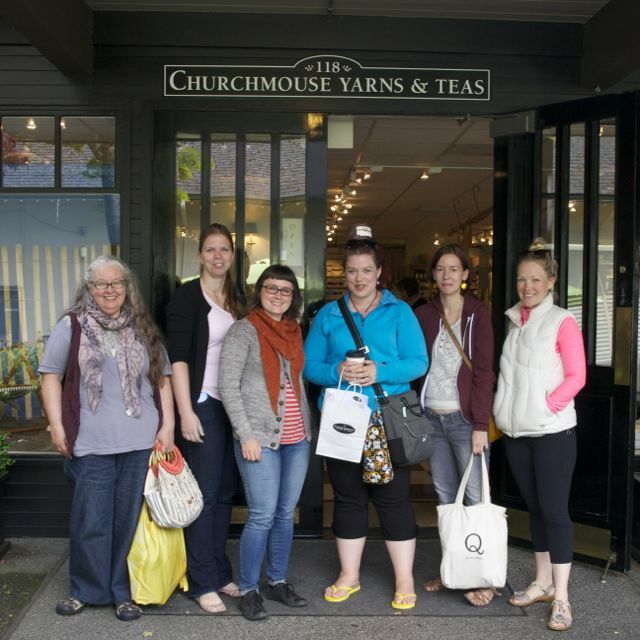 Last weekend I had a great opportunity to hit the road with some knitterly friends and check out a few shops across the border: Churchmouse Yarn and Teas and Tolt Yarn and Wool in Washington. I arose at an awful hour, packed up Bodhi and away we went! Blue Moon Fiber Arts looking good! 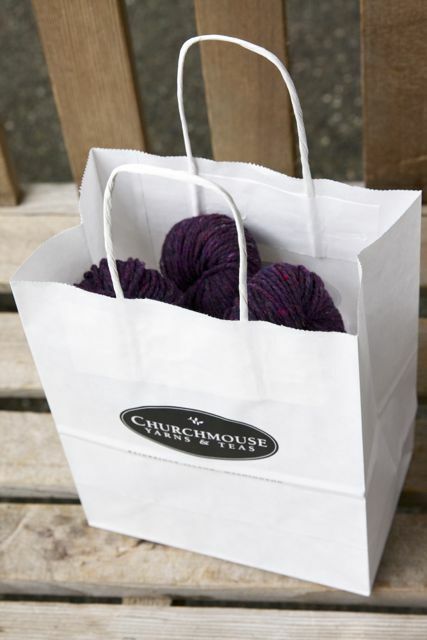 Our first stop was Churchmouse Yarns, a great little shop in a super cute neighborhood on Bainbridge Island. The ladies gushed over Bodhi while helping us with our yarny needs. 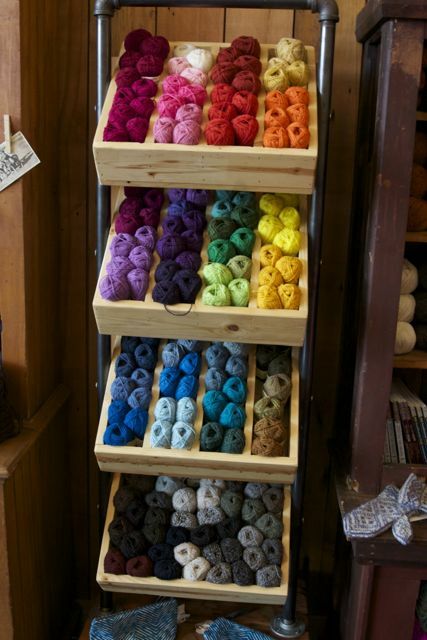 I’ve been knitting with Brooklyn Tweed lately so I was drawn to their full collection of Shelter, all in a pretty cabinet display. 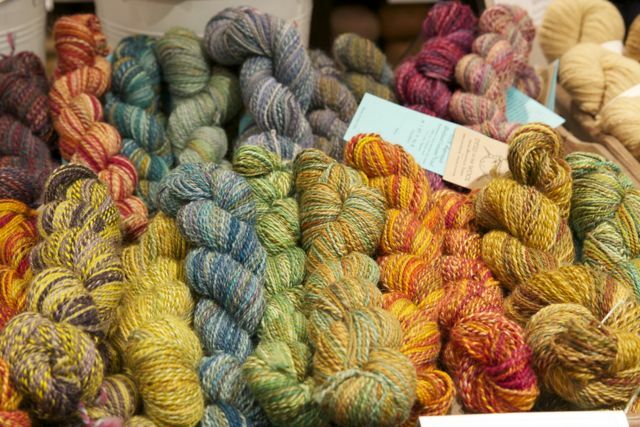 There was recycled cashmere, Blue Moon Fiber Arts, and Spin Cycle yarns to oggle too. 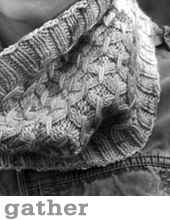 I nabbed some great toggle buttons and some Shelter in Plum (might be a cabled cowl or scarf, not too sure yet… wheels are turning!). 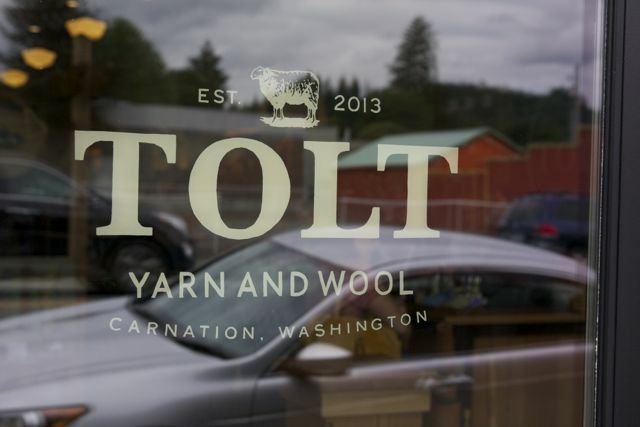 Next stop was Tolt Yarn and Wool and I am just in love! 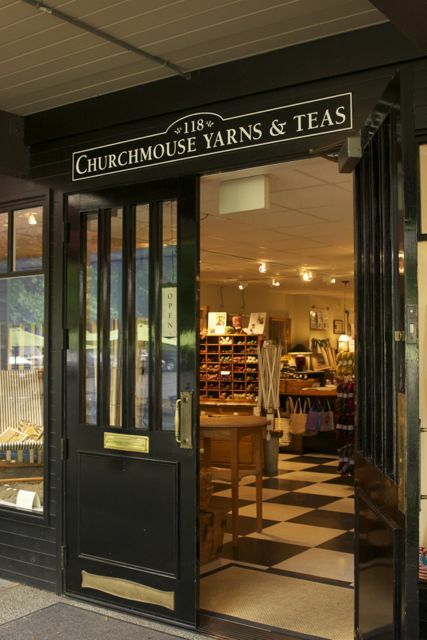 The whole shop has a wonderful antique vibe with beautiful wood pieces to hold the pretty yarns. 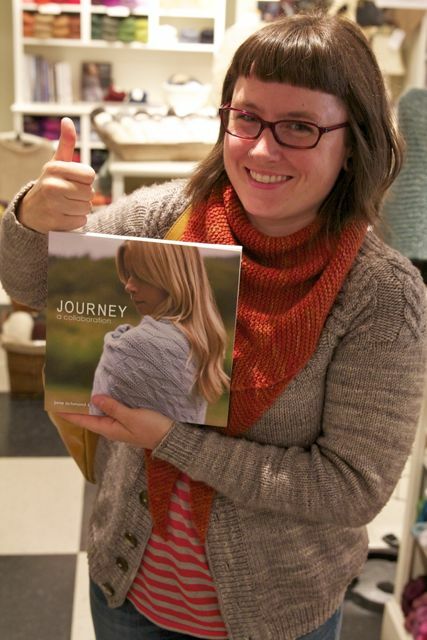 Not to mention the friendly and helpful staff, they treated us like knitting queens. 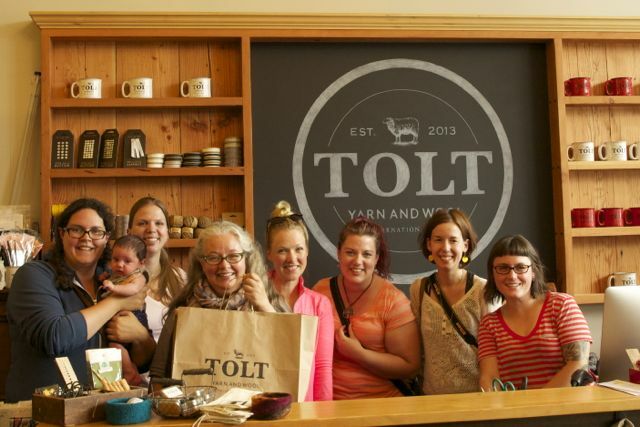 Tolt carries some fantastic yarns that I haven’t seen too often including YOTH Yarns, Quince and Co, and Hazel Knits. I picked up a skein of the YOTH Yarns Big Sister DK (80/10/10 merino, cashmere, nylon) and Em picked up a whole sweater’s worth. 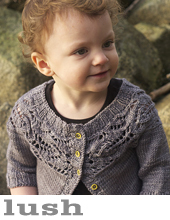 I can’t wait to get it on the needles! The details were all so cute at Told, from the sign on the door…. …to the chalk board behind the counter….. 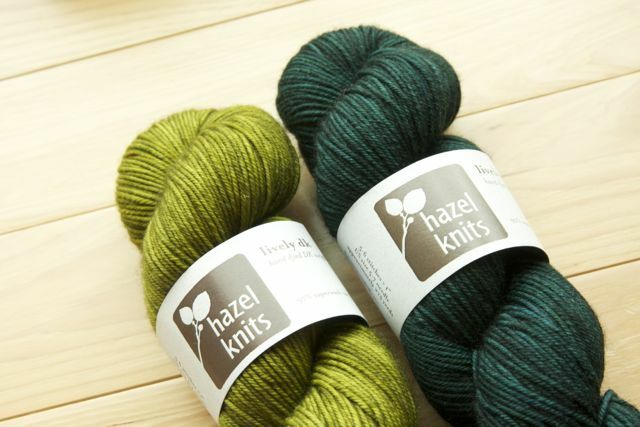 I first met Hazel Knits yarn at Vogue Knitting and have been petting the lovely skeins I bought there ever since. I knit Hunter a little sweater in their sock yarn and the colour depth is amazing. 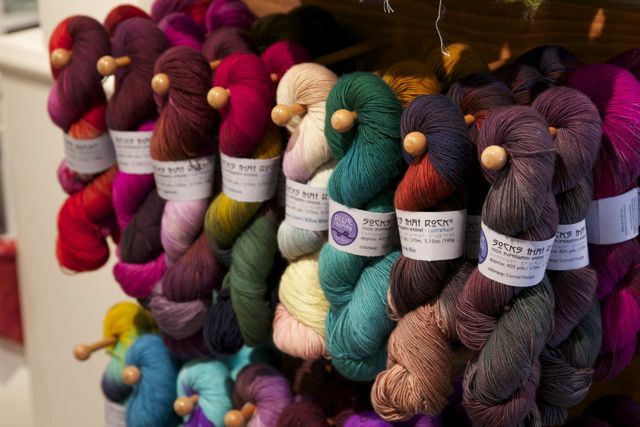 I wanted to take home the whole display but settled on enough ‘Emerald City’ for a Hunter sweater and the last skein of ‘Sedge’ because I had to have it! This is what I DID take home! The crew and I skipped down the road with our full bags to a little cafe for the best egg salad sandwich I have ever eaten then it was back on the road. A long but wonderful day. Thanks again to Ashley for organizing and to Em and Tabitha for being fun car-mates! Where do you go on your yarny adventures out of town? I recently took a day trip from Michigan to Simply Socks Yarn Shop in Indiana. 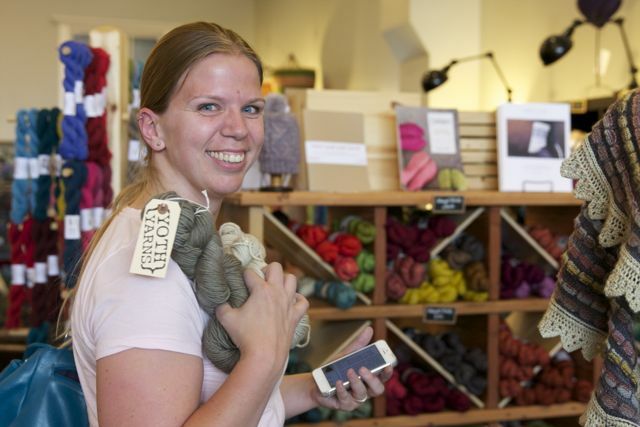 What a fun little store with a HUGE selection of, you guessed it, sock yarn. We had a group of about 12 ladies and made a wonderful day of it! 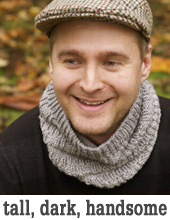 So nice to see all you Knitteratti on Bainbridge Island. What a fab group! OH SOOO jealous!!! I really, really wish we could have come with you. It looks like you had an amazing time! We simply must go back, so come next time! YAY! So glad you guys had a great time! I’m so sad we couldn’t join you! I’m happy to see Journey out in the wild though! Great pic of E! Great post! 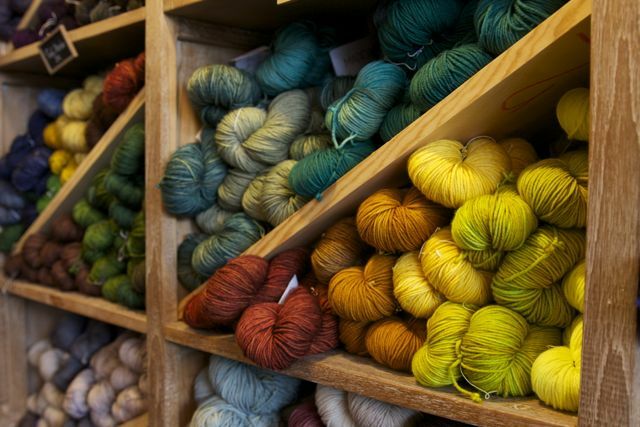 I’m going to Chicago next week and can’t wait to visit some yarn stores and have a yarn adventure while I’m there! 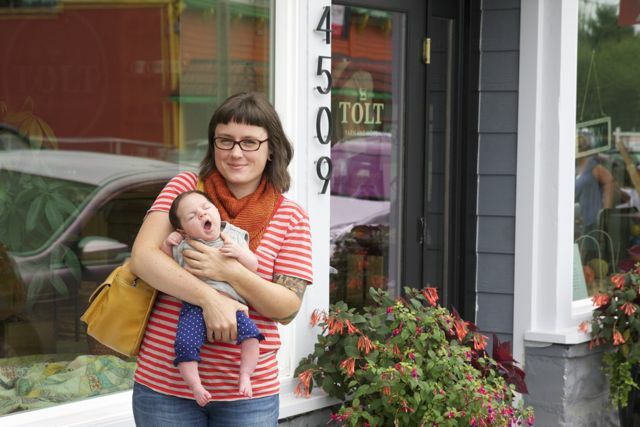 ooh, gorgeous shops, and now I wnat to go to Washington! Looks like it was a really fun day. What a fantastic posting. WOW!!!!!!!!!!!!!!!! 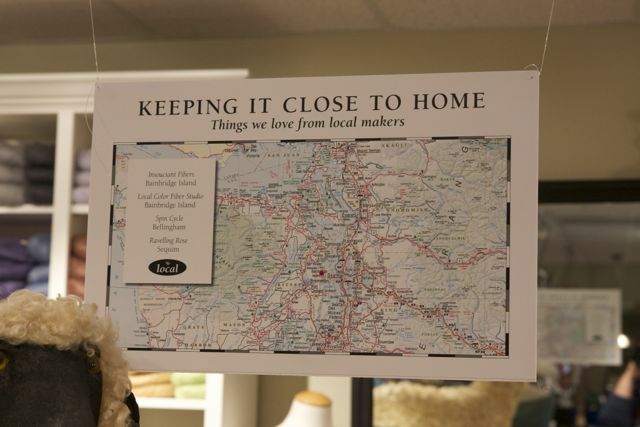 Thank you for all the photos, the links to the shops and yarn companies. 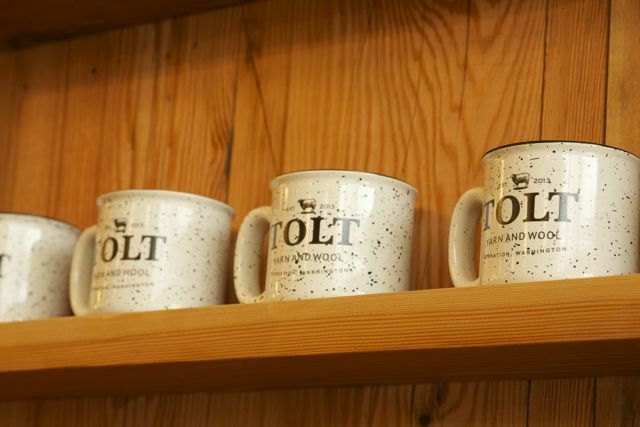 I WANT a Tolt mug. I am going to slowly enjoy perusing the all the different yarns, many of I have never heard from. Thank you! So glad you all had such a great day. I have just been up to Halifax Spinners Mill north of Doncaster and met the charming Paul to drop off my wool stash. It was 20kilo of Wensleydale cross Shetland a dark reddish brown 4-5inches long, and a mixed bag of Shetland ,cream,fawn ,moorit and almost black.20kilo minimum batch means I will mix the Shetland up and end up with 4ply which I can double up if I want double knit weight. Paul is also going to do some lace weight out of the Wensleydale cross Shetland .I don’t allow myself to buy knitting wool as I have to use my stash up of off the self wool in preparation for my own wool arriving let alone what I need to spin up.